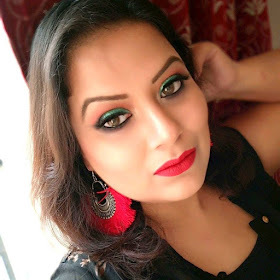 The collection that wins my heart and from last few days I am so much into MAC HOLIDAY COLLECTION products that I almost forgot that we are almost at the end of the series of entire MAC NUTCRACKER SWEET COLLECTION. I have already reviewed the lipsticks from this collection here and the famous MAC COPPER FACE PALETTE review here. So, yeah today I am up with the last product that I grab from Mac Nutcracker sweet collection is MAC SWEET VISION MAGIC DUST POWDER. MAC SWEET VISION MAGIC DUST POWDER. : - Rs.2500/- for 10gm. Nykaa.com (online), Mac cosmetics website, Mac store. As it is limited edition so I am sorry to say it's already out of stock from everywhere (I guess). MAC SWEET VISION MAGIC DUST POWDER comes in a beautiful gold and pink and dark plum combo packaging that resembles candies. The MAGIC DUST POWDER itself is self-design one, the star design in the magic powder adding a bit of extraordinary touch in the entire product. 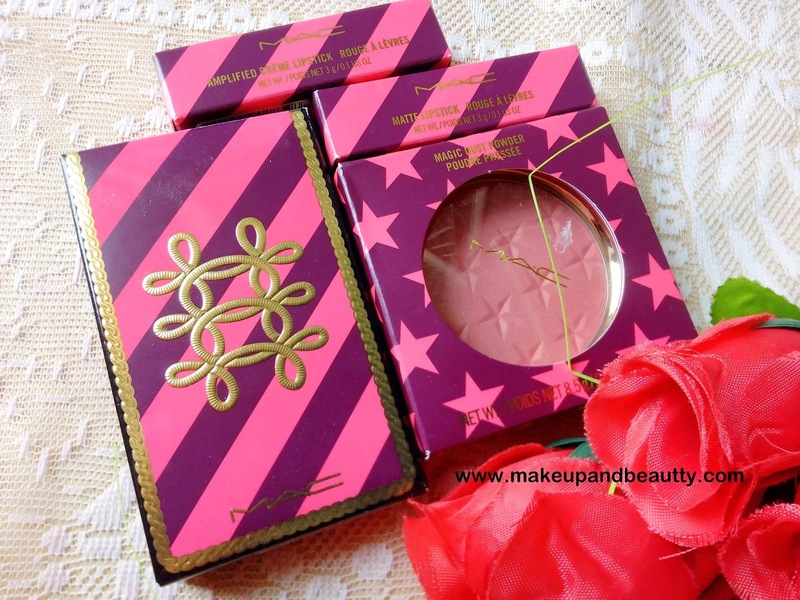 MAC SWEET VISION MAGIC DUST POWDER is a beautiful warm pink undertone powder with gold frosted shimmer in it. The texture of the powder is soft, when swatched with fingers I found it is quite pigmented and the powder is buttery soft. The powder is easily blendable and so it is an easily buildable shade too. It doesn't emphasize the pore of my skin but definitely, it increases the natural glow of it. The powder is so pigmented that a fan brush is recommended to apply this powder over the cheek. It stays pretty 8 hours intact on my skin during winter while the shimmer of the powder lasts 6 hours on my skin. After 6 hours it starts fading a bit. if you miss this powder then don't be disheartened as you can check out the dupes of this powder or you can simply wait for Mac to re-promote it once again (which Mac always do). That's all for today. Until next time "Stay beautiful with your makeup on..."